Gold Certification of Operational Sustainability is the highest possible endorsement from the world’s leading independent data centre advisory and certification organisation. 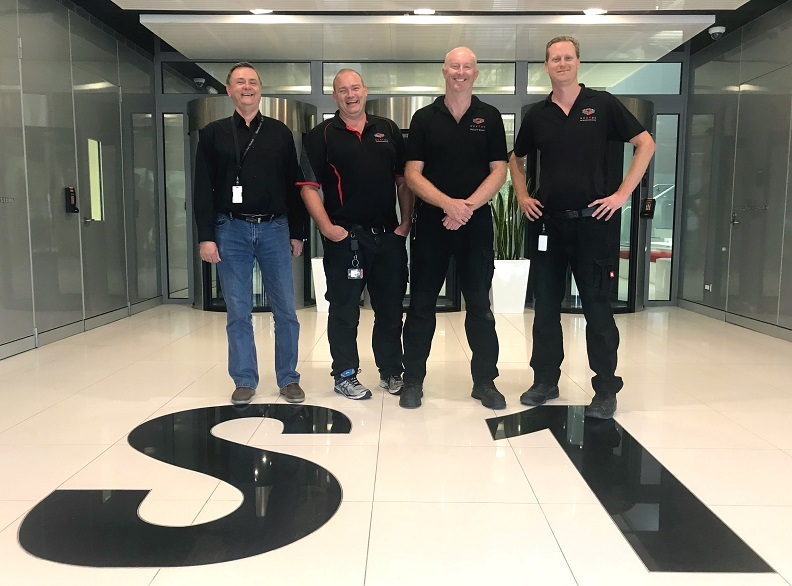 This independent benchmark of S1’s Facility Management team certifies that they operate and maintain the facility to its full potential, ensuring efficient and reliable data centre performance all year-round. The Uptime Institute certification is part of NEXTDC's nationwide gold operational excellence program, demonstrating that the team behind NEXTDC’s critical infrastructure are as prepared for any challenges to uptime as the data centre itself. NEXTDC continuously evaluates national maintenance programmes and policies, as well as ongoing staff training and development to ensure the highest standards are achieved. This national approach is supported by NEXTDCs central maintenance organisation that provides deep technical expertise and change management oversight. Above: some of the S1 facility team who earned top marks from Uptime Institute. The Certification process is not a stand-alone test or exam, it is a detailed audit of how the broader team actually operate and maintain the facility. The Uptime Institute’s Gold rating is a result of the Facility Management team scoring over 90 percent across all assessment aspects. Key areas covered include: staffing, training and organisation; preventative maintenance; and planning, management and coordination. NEXTDC Chief Operating Officer Simon Cooper commented, “Since it's inception NEXTDC has focussed on building and operating efficient, vendor-neutral, hyper-scale data centres to the industries highest standards. Delivering both scale and operational excellence provides our clients and partners the support they need to deliver increasingly complex IT and connectivity solutions. This certification program provides independent verification that NEXTDC continues to be a leader in operational excellence and sustainability." The P1 Perth data centre was the first of NEXTDC’s data centres to go through Uptime’s Certification of Operational Sustainability. This certification program will continue to rollout across other NEXTDC data centres throughout FY18.